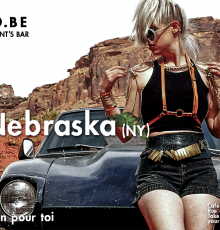 Floréo welcomes Dj Nebraska from New York for an evening that looks to hip-hop, afrobeat, dancehall, reggaeton and trap! In no time at all, DJ Nebraska Jones has mastered the turntables and aligned herself with some of the most popular DJs in the New York underground circuit! She thrills festival and nightclub scenes in the United States, Europe, North Africa, the Caribbean and Latin America. DJ Nebraska Jones is a master party psychologist, offering a musical experience that blends hip-hop, afrobeats, dancehall, reggaeton, trap, to ensure that the booties moove in continuous.